It’s not just about the technology, it’s about the people. We want to bring you closer to just some of the people who work at Codestone to understand how they work with clients, what they are looking to achieve and what inspires them. 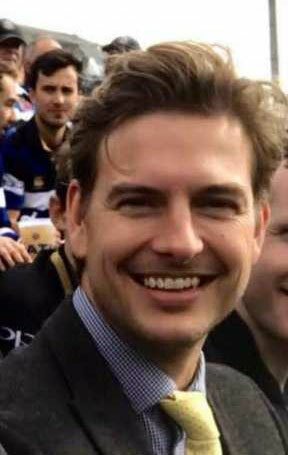 James Drummond is part of a team of nine project managers at Codestone. It’s his job to ensure customers can implement their new SAP technology as quickly and efficiently as possible. Having rolled out hundreds of implementations over the years, Codestone has a strong appreciation for sound project management and the value it brings to the customer when timelines and resources are managed expertly and effectively. James is currently responsible for managing around 14 different-sized projects at a time. James spent 11 years building an international career at JP Morgan where he developed his expertise in operations and project management. He then went on to manage a year-long project in the leisure industry where he implemented a new country-wide policy roll out for Merlin Entertainments. Looking for a more permanent role, James became aware of Codestone and did some research to see if it was a company that would fit in with his values. He joined the business in June 2018. It was his first step into the world of SAP, which has meant he’s had a lot to learn in his first six months. James found Codestone to be a highly supportive environment answering all his typical ‘new boy’ questions. “I’ve been in situations before where you ask questions and you feel like you are eating into people’s time and they really don’t want to help you. I’ve never felt that here. In the beginning, the project management team sat next to me, hand-holding me until I gained a level of confidence and understanding. James aspires to be the best project manager he can be, to become an important asset to the company, to gain the respect of his peers through the quality of his work and to represent Codestone well. From a customer perspective, his primary aim is to achieve their highest level of expectation. Ensuring projects are delivered on time and on budget is crucial to that goal. It’s also important to James to build great working relationships – both at work and with the customers. The main element in achieving this, he believes, lies in two-way transparency. For many of the larger projects he manages, once a contract has been signed off James will spend time on site, join the kick off meeting and get to know the key stakeholders in the project team. These are really good opportunities to initiate face-to-face interactions and to make the human connections that can sometimes be overlooked. It’s a chance to build new relationships at the start of a project and set out expectations – not just what the customer expects from Codestone, but what Codestone expects from them and why. For James, it’s critical to lay the foundations of transparency right at the outset. Ultimately Codestone and their customers share the same objective – to deliver an SAP system quickly and effectively. Once the kick off meeting has taken place, James keeps in weekly contact with his customers to find out how things are going. Even if nothing new is happening, he feels it is important to maintain rapport and continue strengthening the relationship. “The moment you lose that, or if you fail to build a good relationship, you are always going to have potential issues around trust”. Codestone has a broad range of clients with diverse types of business and different ways of working. Over the length of his career, James has learnt not to over-complicate matters and strives to keep things as simple as possible. James likes to start each day with a clear idea of all his projects’ status is and what needs to be done. He’ll then reach out to all the internal teams to see if there are any issues he needs to be aware of, or if they have any concerns about his projects. It could relate to a support phase, account management or a development phase where they are building a bespoke add-on for a customer. James conducts weekly meetings or calls with customers to make sure things are going well. He reviews the project plan with them to ensure deadlines are being met. He will monitor upcoming milestones and how close they are to achieving them as well as what needs to be done to get them over the line. It’s an opportunity to address potential issues – be they short term or long time. Of course, there is also admin to do too. This involves keeping project plans up to-date or logging issues and risks, so the project can be managed as efficiently as possible. A big part of his role when working with customers is to ensure they are being pragmatic about what they want to achieve. It’s easy to get excited about what SAP can do and to start wanting more than what you signed up for. While we can deliver that, it will cost them more and derail the project. Keeping them on track and managing their expectations is almost a daily task. Coming from a corporate background – a huge multinational bank, what stands out for James is how Codestone has maintained a family feel. Even as the firm has grown, it has managed to maintain the feeling of ‘we are all in it together’ – which James believes is quite unusual in these times. It certainly inspires him to get up and do the best he can. In a short time since he started at Codestone he has made great friends at work. In his view, working with good people is the best thing about is job. “It’s nice to have friendships running through the company. It comes from the top too. There’s no ‘them and us’ divide between the management and team either”. James has learned to adopt a pragmatic approach at all times.